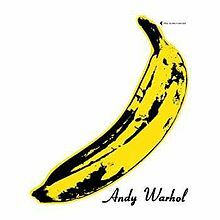 The Velvet Underground and the Warhol Foundation for the Visual Arts have settled their lawsuit over the right to control iconic “banana” image from the cover of the 1967 legendary The Velvet Underground and Nico album. An earlier September 7, 2012 ruling for the Warhol Foundation finding that that the Velvet Underground had agreed not to sue on any copyright theories left unanswered questions of whether the band had claim to a superseding trademark in the image that would allow it, and not the Warhol Foundation, to control the image’s reproduction. The dispute is now over, and those questions will not be judicially resolved.